The Memorial Candle Program has been designed to help offset the costs associated with the hosting this Tribute Website in perpetuity. Through the lighting of a memorial candle, your thoughtful gesture will be recorded in the Book of Memories and the proceeds will go directly towards helping ensure that the family and friends of Dr. Charles Walter Major can continue to memorialize, re-visit, interact with each other and enhance this tribute for future generations. ORONO - Dr. Charles Walter Major, 92, died reluctantly, (so many books left unread, Game of Thrones isn’t finished!) on August 1st, 2018, in Bangor Maine, surrounded by his family. He was born January 30, 1926 to Charles David Major and Alice Marie (Rabbitt) Major in Framingham, Massachusetts; a time when movies were ten cents, and a day in the hospital cost six dollars. He graduated from Framingham High School (43), Dartmouth College (48), and University of Tennessee (PhD ’57) Subsequently taught at the Rochester, N.Y School of Medicine, and then at the University of Maine, Orono for 33 years, until his retirement in 1992. Enlisted in the Navy at age 17 during WWII, and was commissioned at 19 from Notre Dame Midshipman School. He was recalled during the Korean War, overall serving 33 months of sea duty as a deck office on destroyers and destroyer escorts in the western Pacific, North Atlantic, and Mediterranean. He swiftly married his true love, Mary Henderson, of Brooks Georgia, before being shipped out in 1951. They then had 61 wonderful years of wry humor, and loving companionship while raising a family and traveling the world. They enjoyed their birds, squirrels, chipmunks, bobcats, skunks, Delta the raccoon, and other visitors to their yard, all of which he fed daily. He fought for Civil Rights all his life, active in Anderson County, TN during the desegregation crisis at Clinton High School in the 50’s, and was a driver for the Southern Christian Leadership Conference during Martin Luther King Jr.’s funeral in Atlanta, ‘68. Politically active all his life, he worked on campaigns as a resource for Al Gore Sr., Ed Muskie, Bill Hathaway, and George Mitchell. He was a delegate to many State Democratic conventions, and on several platform committees, notably during the contentious Vietnam era. He also served on both the Penobscot and Hancock County Committees. He was a relentless and vocal advocate for unions, serving tirelessly on the Board of the Maine Teachers Association, as a member of the National Education Association’s Human Rights Committee, and as the chief negotiator during the establishment of the Associated Faculties of the University of Maine. He was also the American Association of University Professors Organizer for the State of Maine. 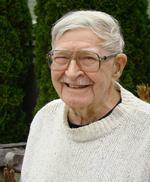 Charlie also served on many local committees, and chaired the Town of Lamoine’s Comprehensive Plan. He was proud of his family’s contribution to the Framingham Heart Study, which started in 1948 and continues today with the fourth generation of families. He was a participant in the neurological study started in 1997, and was a postmortem brain tissue donor. He was a true Renaissance man, a doctorate in science, a respected professor and researcher, who also wrote wonderful poetry and was able to recite the Roman emperors in chronological order. He could, (and would) debate on just about any topic, but totally without malice, because he adored a mental challenge. He was predeceased by his wife, Mary, and brother, Thomas. He is survived by daughters, Nancy Tice and her husband Steven, of North Yarmouth, Elizabeth Rolfe and her husband Brian, of Phippsburg, son, Charles Major and his wife, Susan (Hillman), of Orono; grandchildren: June (French) Geoffroy, Anne French, John French, Michael Rolfe, Stephen Rolfe, Tony Major, Andrew Major, Michael Tice, and Robert Tice; ten great-grandchildren; and many nieces and nephews. There will be a Life Celebration gathering August 24th, at Dirigo Pines, 9 Alumni Drive, Orono, Me, from 1-4PM. Those who wish to remember Charlie in a special way may make gifts in his memory to the Lamoine Volunteer Fire Department, 606 Douglas Highway, Lamoine, ME 04605.